King II Surf Charter - West Sumatra, Mentawai Giudizio complessivo degli Ospiti : ☆☆☆☆☆ 0 situato 0 recensioni. The King II is an aluminium catamaran built in Australia in 1995 and refurbished in 2007. 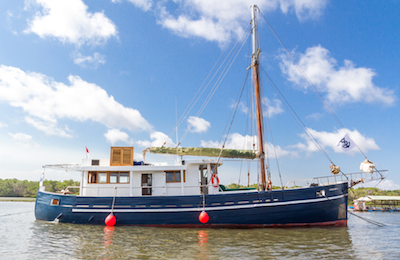 It is 19m long with a beam of 7.5m with an average cruising speed of 12 knots going up to 15 knots and carries 12 clients. SPECIAL OFFER: Trips form 4th to 16th and 17th to 29th for only 2480$ ! For group 9+ people. PINISI SCHOONER Surf Charter - Nusa Tengarra, Komodo Island Giudizio complessivo degli Ospiti : ☆☆☆☆☆ 0 situato 0 recensioni. 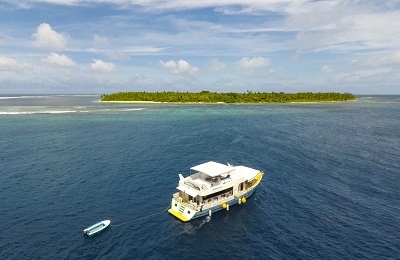 Maldives Surf Charter - Male, Northern & Southern Atolls Giudizio complessivo degli Ospiti : ★★★★★ 5 situato 3 recensioni. Surf trip in barca e surfaris organizzati da surfisti per i surfisti! Wi-Fi a bordo, pensione completa, itinerari su richiesta per gli atolli settentrionali. Surf charter per gli atolli centrali e meridionali durante la stagione del surf alle Maldive! Luxury Phinisi Diving Charter - Raja Ampat, West Papua Giudizio complessivo degli Ospiti : ★★★★★ 5 situato 1 recensioni. 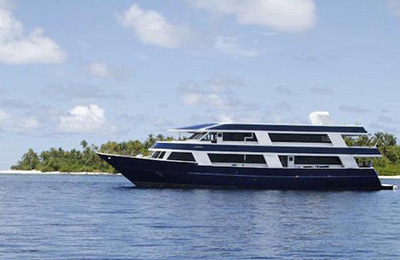 Luxury Phinisi Diving Charter, our destinations take guests to the edge of the civilization, visit long forgotten tribes, trek surreal volcanic landscape sand dive some of the most incredible waters on earth. Clouds of fish and some of the most species-rich waters on earth of erupting the experiences of a lifetime. Comfortable Small Group Surf & Diving Charter - Sumba, Komodo Giudizio complessivo degli Ospiti : ★★★★★ 5 situato 2 recensioni. Savvy crew and Comfortable group Surf & Diving Charter is the experience you have never had before, highly experienced crew, super comfortable accommodation for 6 guests ideal for a group of friends or family. More than 20 years sailing in Indonesia. Air-conditioned cabins, Dvd area for movies at night, open-air lounge to relax and have frosty beers, after a full day, chasing the waves and adventures activities. Full board including breakfast, lunch and afternoon snacks, as well as flame-grilled specialties from the outside barbecue for dinner. 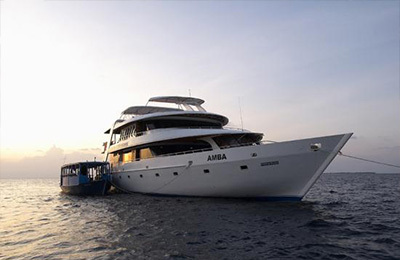 AMBA Surf Charter - Maldives, Northern Atolls Giudizio complessivo degli Ospiti : ☆☆☆☆☆ 0 situato 0 recensioni. Cobia Surf Charter - Northern, Atolls Giudizio complessivo degli Ospiti : ★★★★★ 5 situato 1 recensioni. L’imbarcazione da 21 metri Cobia è stata progettata e costruita dagli abili artigiani maldiviani per le acque delle Maldive. Può accogliere fino a 9 passeggeri. Cobia può essere ancorata in prossimità delle isole rendendo la tua permanenza a bordo la migliore di sempre. Sulla Cobia, ci impegniamo a offrire un buon rapporto qualità/prezzo. Dopo essere atterrato a Male ti verrà a prendere il nostro equipaggio e potrai rilassarti ed entrare nella modalità da surfista! 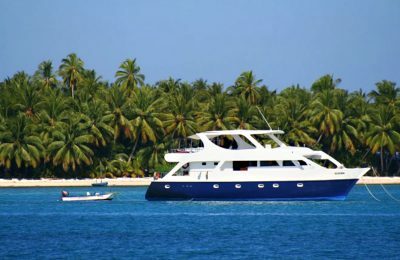 Dancer Luxury Surf Charter - Maldives, Northern Atolls Giudizio complessivo degli Ospiti : ★★★★★ 5 situato 3 recensioni. 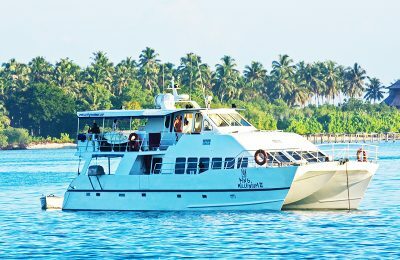 DHINASHA Surf Charter - Maldives, Male Atolls Giudizio complessivo degli Ospiti : ☆☆☆☆☆ 0 situato 0 recensioni. 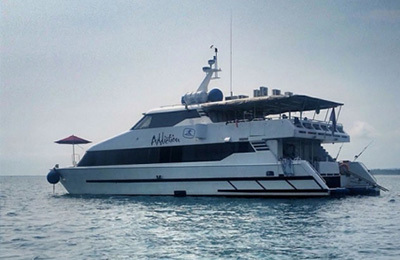 HORIZON II Surf Charter - Maldives, Northern & Southern Atolls Giudizio complessivo degli Ospiti : ★★★★★ 5 situato 3 recensioni. Bali, Lembongan, Lombok & Sumbawa Surf Charter - Nusa Tenggara, Southeast Islands Giudizio complessivo degli Ospiti : ★★★★★ 5 situato 5 recensioni. A perfect choice for a group for a group of mates or enthusiastic solo surfers. You will be visiting some of the most beautiful and exotic surf spots on the planet during your 7 days, there is also plenty of time to fish, dive and of course, kick back, relax and have fun, while checking out the islands of Indonesia. 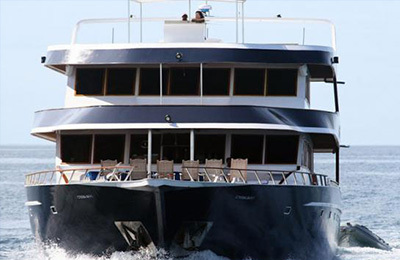 Bali, Lembongan, Lombok & Sumbawa Surf Charter sleeps up to 14 guests comfortably in large bunk style beds. Come on a seven day, seven nights fantastic Surf adventure alone or with your best mates! FREEDOM II Surf Charter - West Sumatra, Mentawai Giudizio complessivo degli Ospiti : ☆☆☆☆☆ 0 situato 0 recensioni. 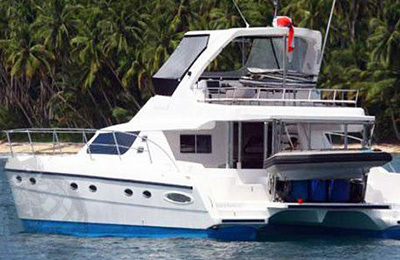 Freedom 2 Surf Charter Catamaran, for luxury surf charters through the Mentawai with speed, style, and comfort in mind. SINGLE SPACES AVAILABLE!!! FREEDOM III Surf Charter - West Sumatra, Mentawai Giudizio complessivo degli Ospiti : ☆☆☆☆☆ 0 situato 0 recensioni. Luxury Addiction Surf Charter - Sumatra, Mentawai Giudizio complessivo degli Ospiti : ☆☆☆☆☆ 0 situato 0 recensioni. Come aboard our luxurious 24 meter (80 ft) high speed catamaran. We offer guided surfing charters to the Mentawai Islands and North or South Sumatra. From all the world class breaks of the Mentawai, to deserted perfection at rarely surfed destinations all over the Sumatran islands. KING I Surf Charter - Sumatra, Mentawai Giudizio complessivo degli Ospiti : ☆☆☆☆☆ 0 situato 0 recensioni. From Padang city the boat takes one night to get to Mentawai's break. Next morning you will be surfing and the last day we will get back at night so you will not waste your surf time. SEE A SPECIAL OFFER FOR JULY and SAVE 420$! SANSSOUCI Surf Charter - Sumatra, Mentawai Giudizio complessivo degli Ospiti : ☆☆☆☆☆ 0 situato 0 recensioni. 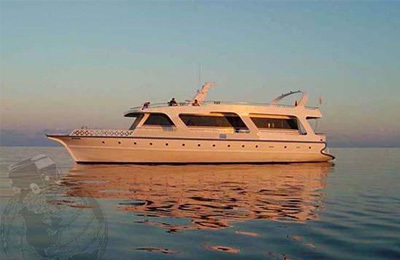 Luxuriously appointed vessel, built to accommodate 14 passengers in the ultimate of airconditioned comfort. Ultimate Romantic Diving & Adventures Charter - Raja Ampat, West Papua Giudizio complessivo degli Ospiti : ★★★★★ 5 situato 2 recensioni. 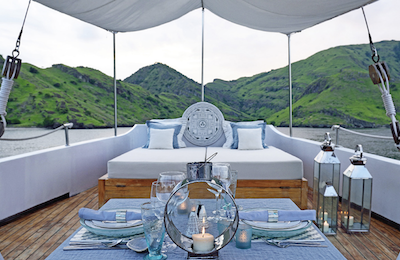 Ultimate Romantic Adventures Charter is a very private affair. 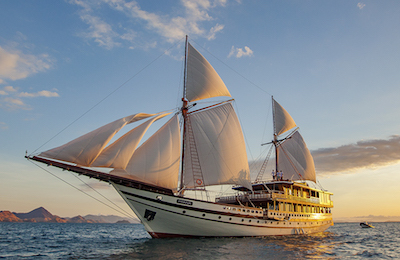 An Indonesian luxury sailing yacht to be shared only with the one you truly love. It is the manifestation of a dream. A dream of ultimate understated luxury, absolute privacy, free spirit of discovery, unique experiences and the best of any service you can think of. 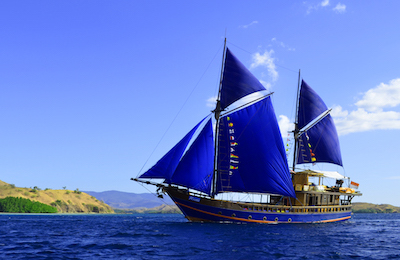 Luxury Expedition Surf & Diving Charter - Komodo, Spice Islands, West Papua Giudizio complessivo degli Ospiti : ☆☆☆☆☆ 0 situato 0 recensioni. 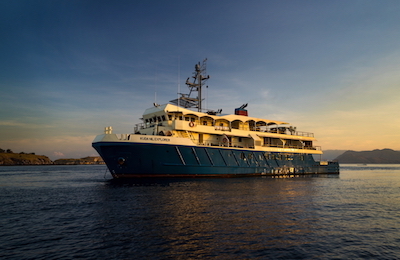 Luxury Expedition Surf Charter is a heavy duty ocean-going vessels converted into a luxury expedition yacht, to offer the perfect base from which to explore and discover the most remote areas of Indonesia, a fascinating country, combining the luxury of an expedition yacht coupled with the built-in safety of a true offshore vessel. Sulawesi Diving Resort - Wakatobi, Sulawesi Giudizio complessivo degli Ospiti : ☆☆☆☆☆ 0 situato 0 recensioni. Sulawesi is a luxury dive resort in Indonesia's Southeastern part. Sulawesi dive resort is an exclusive resort, with only 4 Villas, 15 Ocean Bungalows, and 9 Palm Bungalows. Sulawesi island is located at the world’s epicenter of coral reef biodiversity. Private air shuttle available. Wakatobi Diving Charter - Wakatobi, Southeast Sulawesi Giudizio complessivo degli Ospiti : ☆☆☆☆☆ 0 situato 0 recensioni. 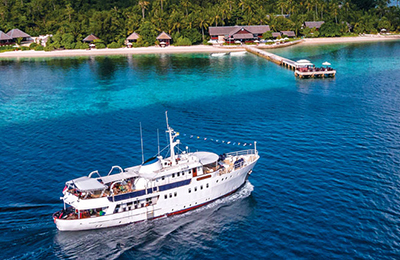 On board at Wakatobi luxury dive charter, you'll feel that you are in a tropical floating boutique hotel. 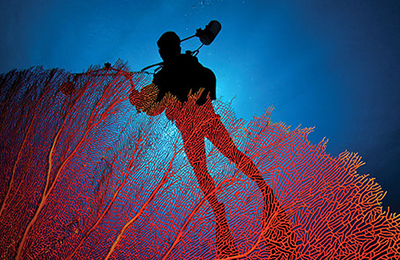 Enjoy ever-changing topside and underwater vistas. All the cabins have been masterfully designed for aesthetics and comfort. The Wakatobi dive charter's two custom-made 18ft rigid hull inflatable dive tenders are equipped with double 50HP four-stroke outboard engines, secure stainless steel ladders, and tank racks. Hariyana Surf Charter - South Atolls, Male Giudizio complessivo degli Ospiti : ★★★★★ 5 situato 2 recensioni.